Meredith has rowed with BCR since summer of 2011, rowing her way from novice to competitive squad over the years. The BCR rowers & coaches make the club a great place to be. Rhonda has been rowing sweep & sculling for the past 4 years with BCR. She loves a sweaty cardio workout with her teammates, sunrises over the dam on Boulder Rez, & traveling to regattas to compete against other clubs. 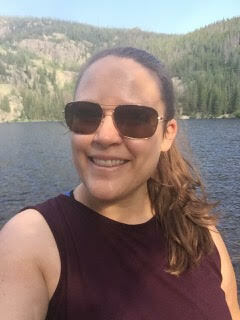 Joanna and her husband love to enjoy the beauty of Colorado while hiking, biking or skiing, and now rowing. She was thrilled to learn about the opportunity to take her fitness training onto the water in 2016 and enjoys the BCR community and attending regattas near and far. Megan is a CU alum who started rowing with BCR in 2016 after moving back to Colorado from the Southeast. Now a member of the comp squad, Megan enjoys the spending early mornings with her teammates on the water and is excited to always be building her rowing skills. When she isn’t rowing, she enjoys hiking, drinking beer and enjoying the beauty of Colorado. Please visit our record of meetings to stay up to date on club discussion.